Sony now introduces a smartphone that is really pro-selfie. 5 MP, wide-angle front camera with LED flash and real-time selfie apps. 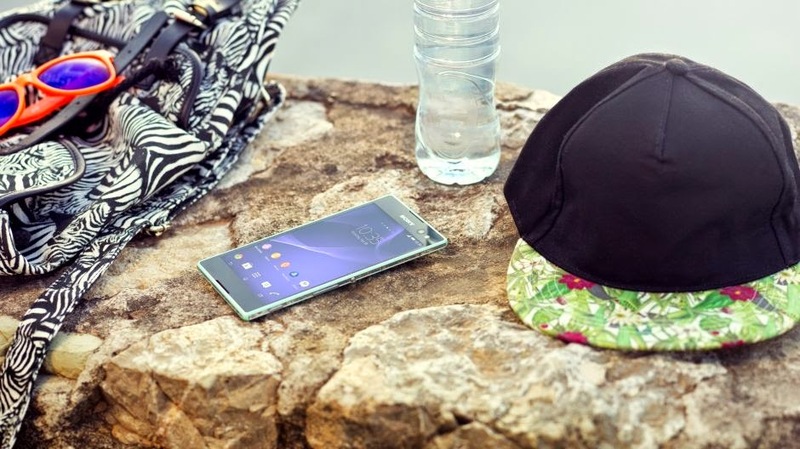 Never miss a selfie moment with the Xperia C3. The Xperia C3 is a Quad-core Android phone with a 5 MP front camera with soft LED flash and a 25 mm wide-angle lens, designed specifically for selfies. Fitting all your friends in a group shot can be a challenge – someone always gets cropped out. The Xperia C3, with its ultra wide-angle lens (25mm, 80 degrees) makes taking group pics easy. No need to get an arm extension, just capture that magic moment with all your friends in the shot. That sounds like an awesome phone. I would love to try one out! This looks great! I like the idea of using a wide angle lens. Want. want. want. you lucky thing! 5 MP for a front camera is really impressive. Experia C3 is really selfie ready. The smile detection function just sounds too cool. I love gadgets. Now I want one! Sounds really cool. The photo technology on smartphones is really amazing these days. This looks and sounds like an awesome phone. I'm going to have to look into this one as a possible replacement for when my upgrade comes up. I want this phone but then there's also Xiaomi 4 that has a promising selfie camera attached to the phone. I just visited the Sony stall in the mall last week and the staffs say that it's not yet available. Looks like a sleek phone. I wonder how it does under a stress test! What a cool phone. I may need to try that next. Looks like a great phone. I'm always looking to upgrade. Great job Sony for keeping up with technology. I would like to know how does the phone stands up to accidental dropping and children playing with the phone. I would love to know the app as well, it looks cool. This phone sounds really cool! If I didn't love Apple so much, I'd give it a go! Thanks for sharing! I've always wanted an Xperia - I wish I could have a chance next time to have one. Sound s like a fantastic phone. I will look into this one next time I'm needing a new one. Thanks! I'm in the market of a new phone of somehow it getting majorly cracked during a cruise trip. This one sounds wonderful! I'm so not a selfie person. Mostly because the pictures always look...odd. But maybe if I had this, I would be! I'm looking into a new phone in the near future and I have thought about this one. Thanks for the review. A good camera is important to me. The camera feature is probably the most important feature on a smart phone for me, thank you for the info!